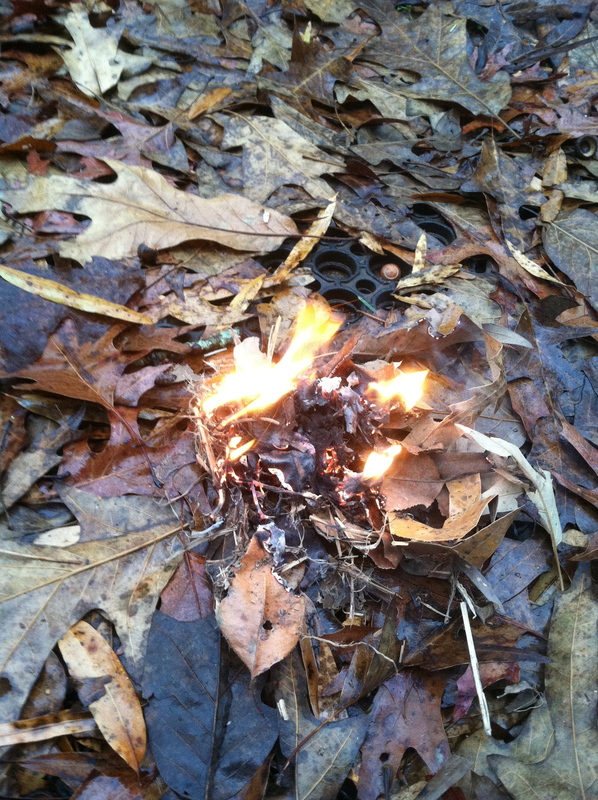 To build a fire, you need three items: fuel, heat, and air (oxygen). Eliminate air from the fire triangle and all you’ll get is smoke and charred material. That’s the point, right? We’re making char cloth. 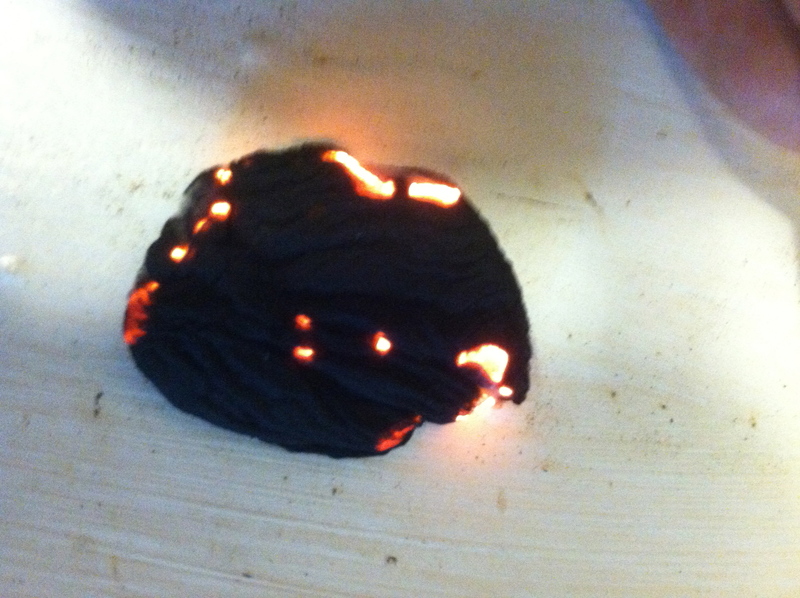 Charred plant-based material is created by using two sides of the fire triangle – heat and fuel – and withholding oxygen. 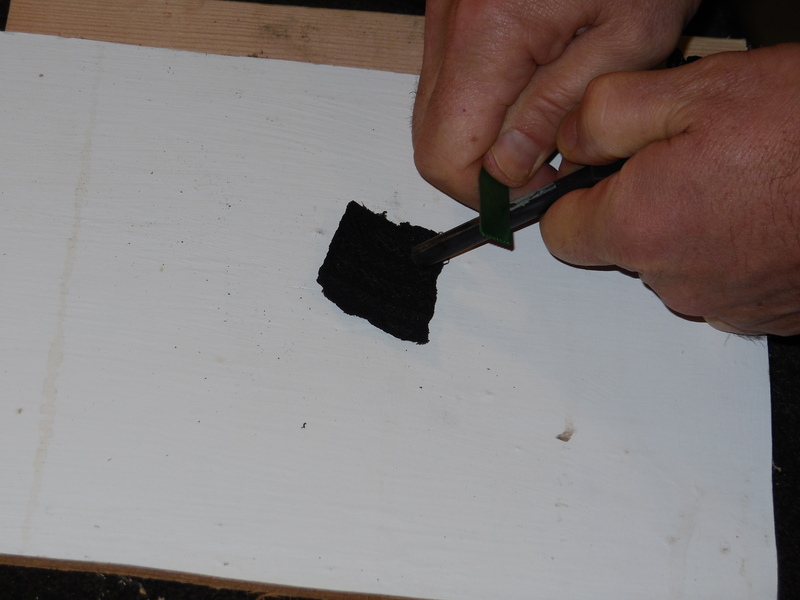 It’s a simple process that takes little time but creates valuable a starter for fire building. Here’s what you’ll need to make your own char cloth. As a bonus, I’ve included my accidental char pads made from 100% cotton makeup remover pads! I made this DiY fire piston and needed char cloth for a test run. It was an epic fail! Well, not epic really. 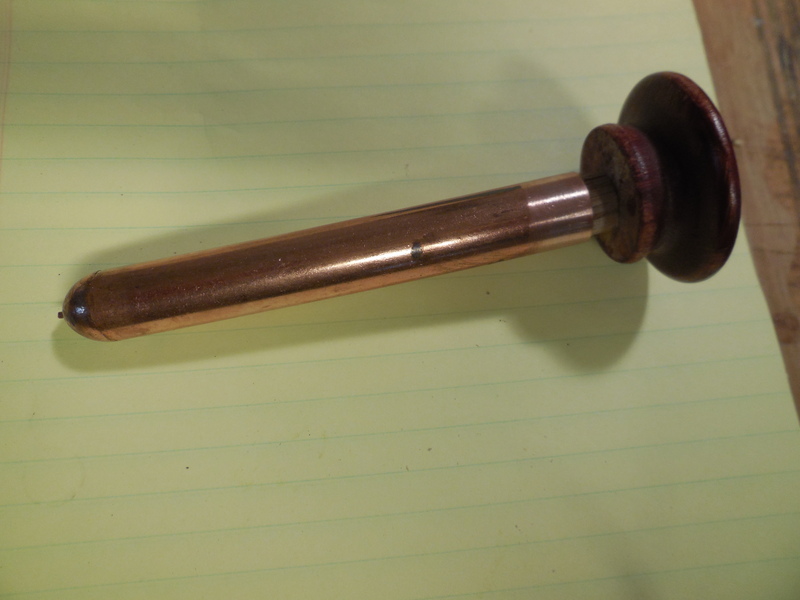 I made the groove too deep on the wooden shaft causing the o-ring to loose air pressure when I slam the piston together. My failed attempt at a DiY fire piston – I’ll let y’all know when I work out the kinks. You learn by Doing the Stuff with your DiY gear. Fail forward, remember! I’ll share what I’ve learned on this fail in a later post. For now, let’s make some char cloth… and char pads. 100% cotton fabric – I used an old bath towel (turned shop towel). You can use a bandana, t-shirt, dish towel, or, as I discovered, makeup removers. 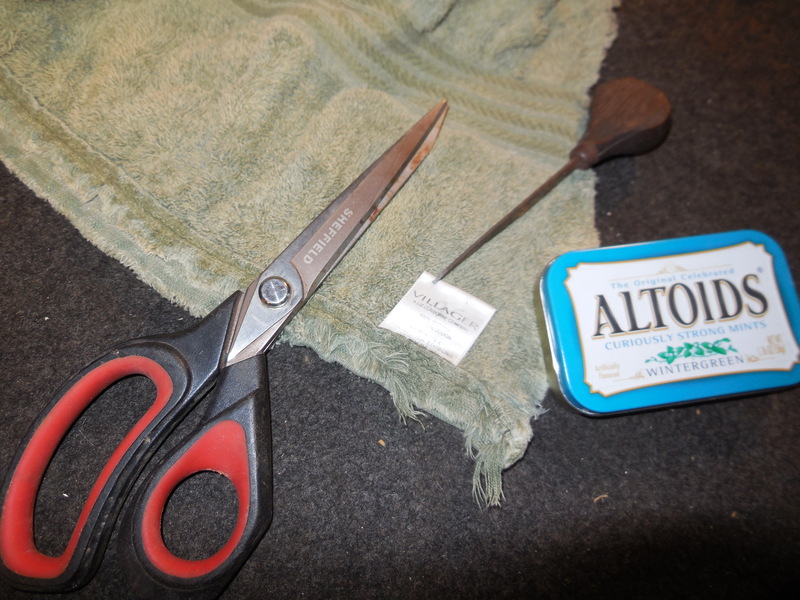 Metal container – Altoids tin, paint can with lid, or bucket. Your container doesn’t need to be air-tight. 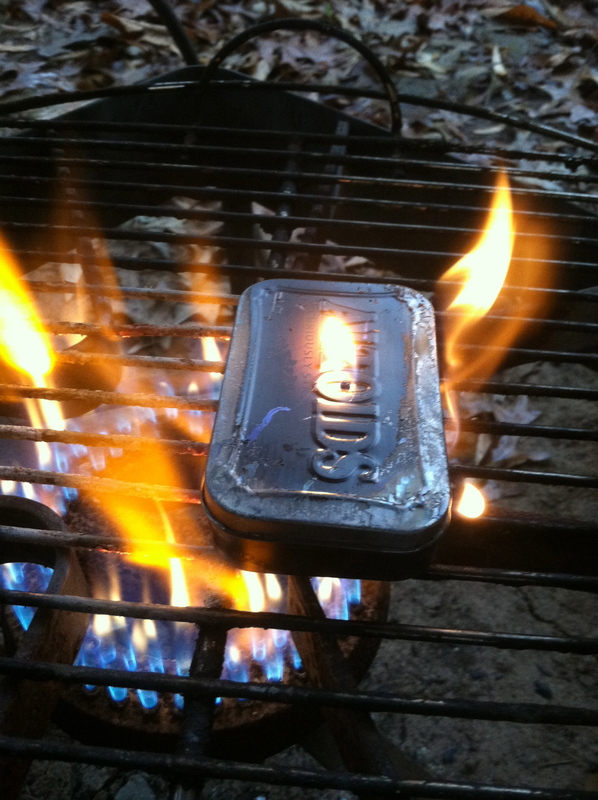 Heat source – Camp fire, grill, fireplace, backpack stove, or any fire will do. I used my cooker with a spare grill grate to support my tin. Step 1: Cut up strips of cloth into 2×2 inch squares. Procession not required. Step 2: Punch a small diameter hole in the top of your container to allow smoke/gas to escape when heat is applied. This step could probably be skipped with Altoids tins as the lid hinge holes allows smoke/gas to escape as well. Step 3: Loosely layer the cloth squares in your container. 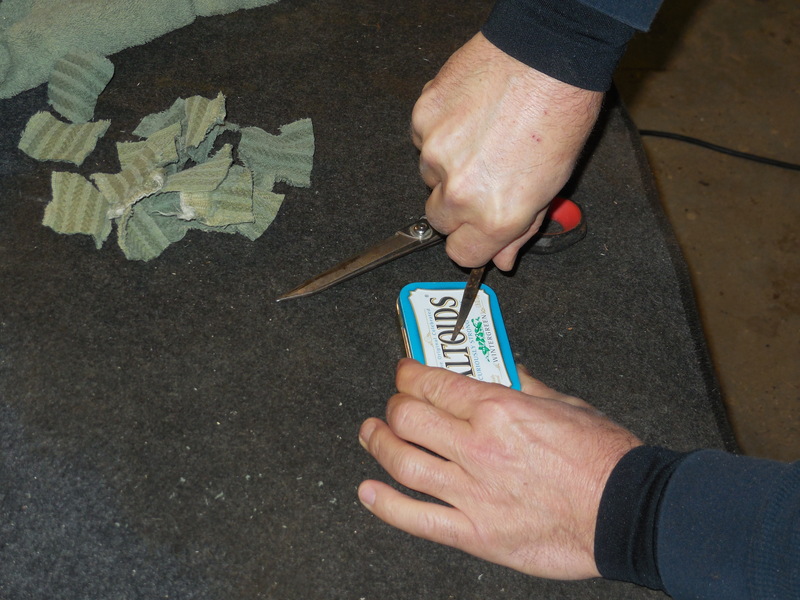 A tightly packed tin may not char all the surface area of your material. I placed 7 squares of thick towel in my tin. Step 4: Close the lid and set the container on your heat source. In under a minute, you should begin to see smoke streaming from the vent hole. 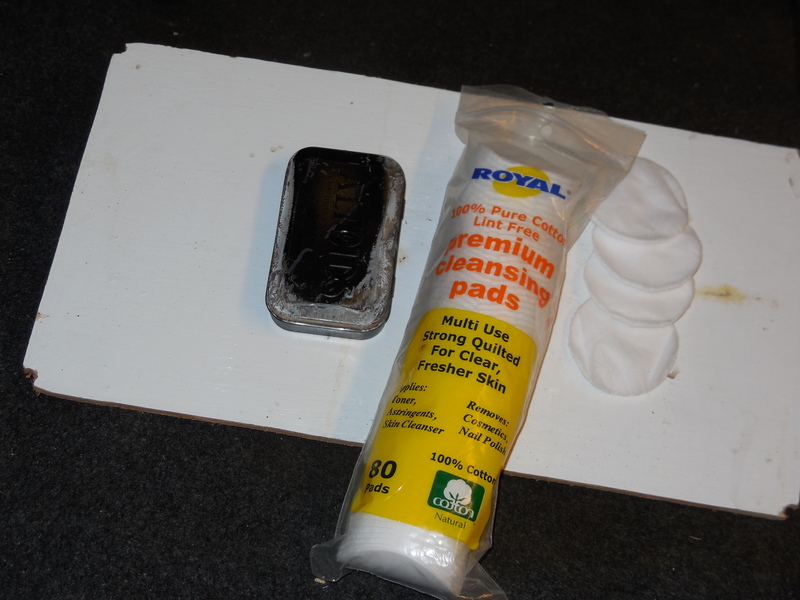 This smoke/gas is flammable and will ignite if it comes in contact with the fire source. When the smoke or fire stops coming from the vent hole, your char material is ready. Your cloth should only take a few minutes (3 to 5) to fully char. If you open the lid while the container is in the fire, you’ve added the third side of the fire triangle and your material will burn instead of char. Step 5: Remove the container from the fire and allow to cool. Open the lid and remove your charred material. 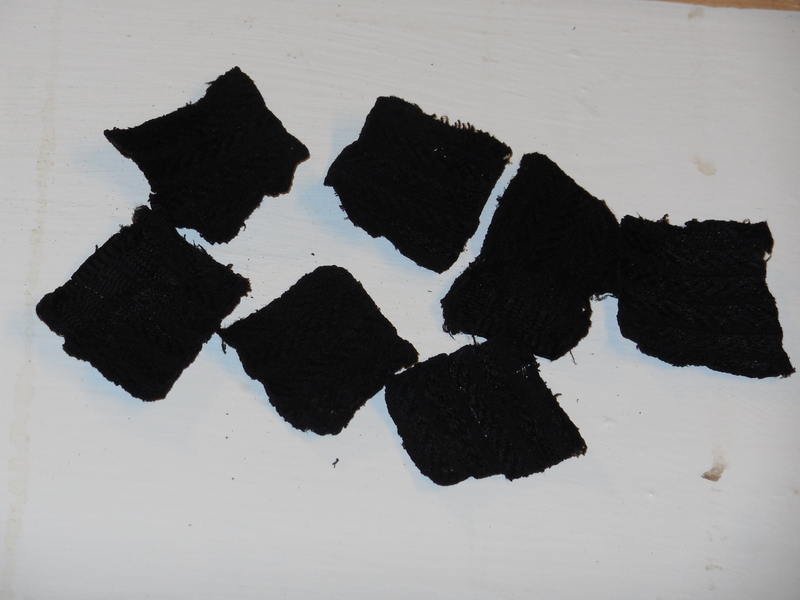 The charred cloth is delicate, so be careful when separating. Now to test the charred cloth. I used a modern ferro rod. Char cloth will catch a spark from old school flint and steel as well. Before you lay sparks to your char cloth, gather and build a dry tinder bundle. It’s been raining for two days here. I found some dead grass and leaves under shelves behind my shop and shaped it into a bird’s nest. 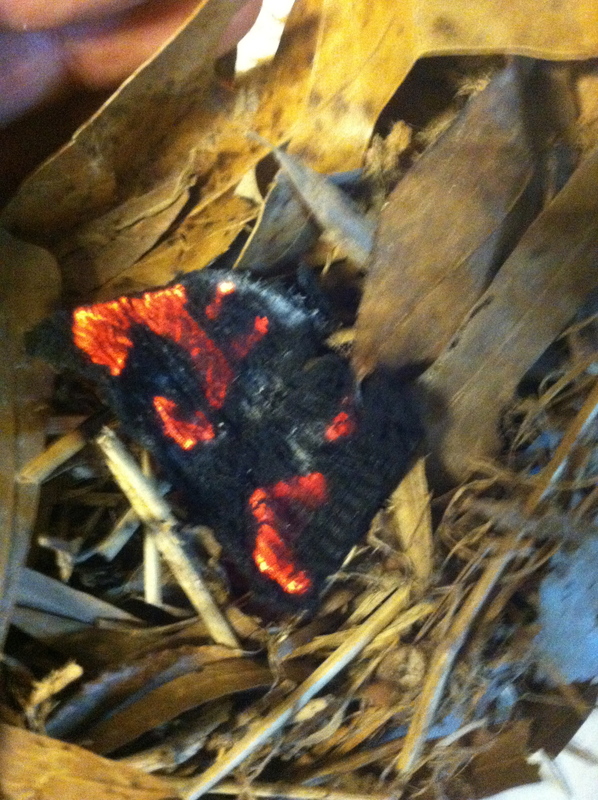 I placed the char cloth inside the nest and showered sparks on the char. Store your char cloth in a sealed container in your fire kit. I dug around in my surplus B.O.B. 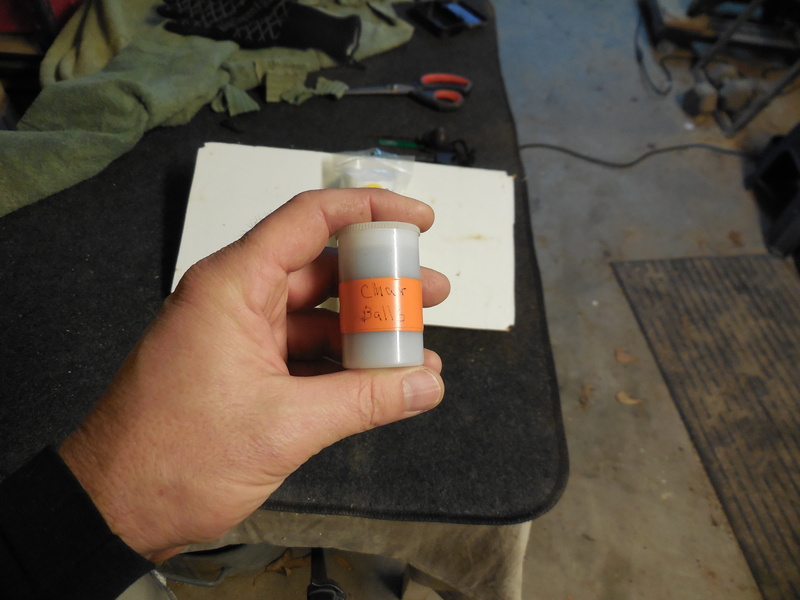 box to find an empty 35mm file canister. In my rummaging, I found a package of 100% cotton makeup remover pads purchased years ago. These pads are marketed for removing makeup and nail polish without leaving cotton fibers behind. 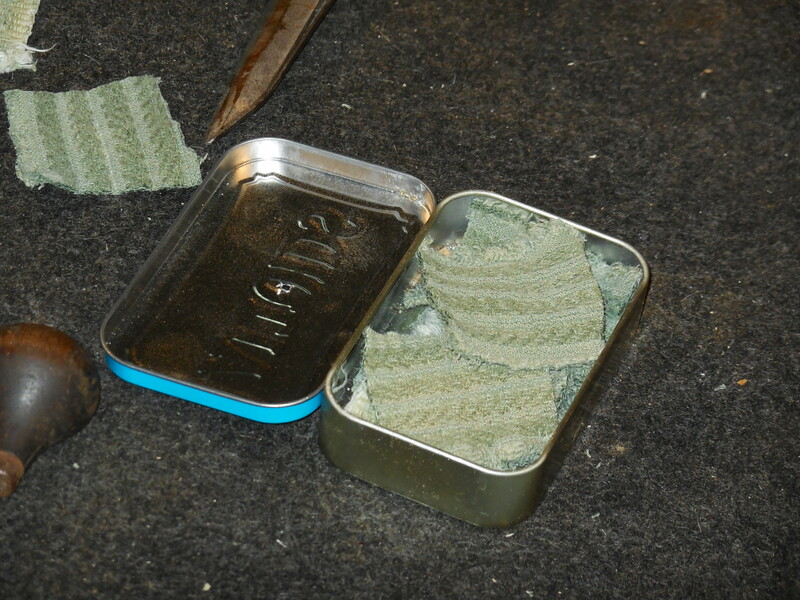 I loaded my tin with 5 pads and followed the same procedures for making char cloth. This won’t work with plain ol’ cotton balls. I’ll bet the ladies already have these on hand. To my surprise, the char pads caught and held a spark even better than the char cloth. And yes, this is one of the reasons I pack Killer Cotton in my emergency kits. You can also connect with us on Twitter, Pinterest, and our new Facebook page. Thanks for sharing the stuff! Copyright Information: Content on this site (unless the work of a third-party) may be shared freely in digital form, in part or whole, with a link back to this site crediting the author. If you are interested a third-party article, please contact the author directly for republishing information.